Scooper - Technology News: The UN has ranked nations for innovation - how does yours do? Emerging markets are climbing up the ranks of the world's most innovative nations, an annual U.N. survey showed on Thursday, although wealthy Western countries led by Switzerland still dominate the top spots. The annual U.N. survey of 128 countries showed China rose three spots to 22nd place on the list, far ahead of other developing countries. Switzerland has topped the list every year since 2011, followed this year by Sweden, the Netherlands, the United States and the United Kingdom, while the United Arab Emirates, Vietnam and Kuwait were some of the biggest risers. "Switzerland is the gold medalist once again, and that's seven years running, so that's quite an outstanding performance," Francis Gurry, head of the U.N. World Intellectual Property Organization (WIPO), told a news conference. 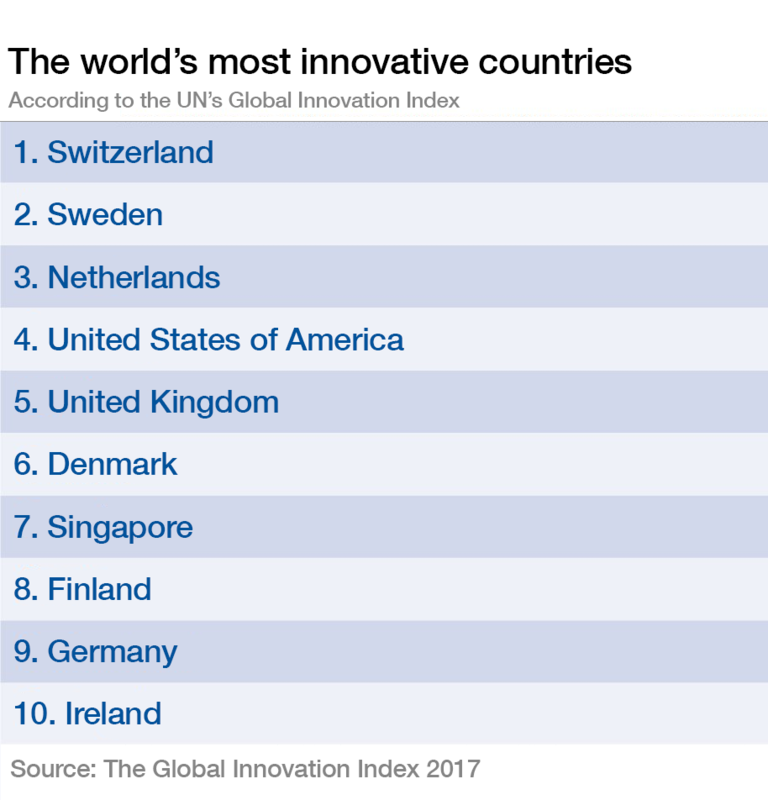 The Global Innovation Index is produced jointly by WIPO and two business schools - INSEAD and the SC Johnson College of Business at Cornell University, and seeks to shed light on countries' competitiveness based on 81 indicators. "What's important for us is to see the gaps in the scores," said Soumitra Dutta, dean of Cornell Business School. One country, India, was taking that lesson seriously, creating its own state-level index to try to create competition for investment and spur innovation nationally, he added. India rose six places to 60th in this year's rankings, the 10th edition, outperforming relative to its economic strength for the seventh year running. But it remained badly let down by its bureaucracy and infrastructure. China's weak spots included tertiary education, the regulatory environment, creative media and protection of minority investors. But in many areas, such as high-tech exports, industrial design and business sophistication, it punched far above its weight. The index takes in factors including political environment, education, infrastructure and business sophistication. This year's report also reviews the state of innovation in agriculture and food systems across sectors and geographies. Gurry said it was premature to gauge what impact President Donald Trump's policies and Britain's decision to leave the European Union might have on their rankings, but international openness was key to fostering innovation. "Will the tendencies that are out there for protectionism have an impact on that? Regrettably perhaps for today's purposes it's too early to say but it's something that we should be very concerned about," he said.